Some of the most thought to be prominent leaders believe today is the era of the Fourth Industrial Revolution. It means that the borders of the different branches of science have blurred and new magnificent results of human genius have changed the picture of the world. Can you imagine talking to your computer as if it were your real companion? We don't perceive our computer as a full-fledged friend, but world leading scientists do their best to make computers think as if they were human beings. Our gadgets can already process a large amount of information and help us solve daily problems as well but they cannot be compared to the human brain yet. But artificial intelligence in business can change everything. AI development marked a new era in the world of technology. But what is AI? What purposes does it serve? How does it change the human life? You are here to get the answers to these questions. AI is associated with movies like 'Star Wars', 'Terminator' and so on. When people had a vague idea of it, they perceived it as a fiction. It is a rather difficult to determine AI. The most common AI meaning is that it is a technique which trains electronic machines to learn in a way that resembles that of humans. We use artificial intelligence every day but sometimes we don't even realize it. AI can seem like something mythical from the future and it is hard to believe that it already surrounds us. To get a right idea about artificial intelligence, we should take a few moments to consider it. Firstly, artificial intelligence is not a robot. A robot is a kind of AI shell that sometimes has the shape of a human body. AI can be compared to the brain inside the human body. 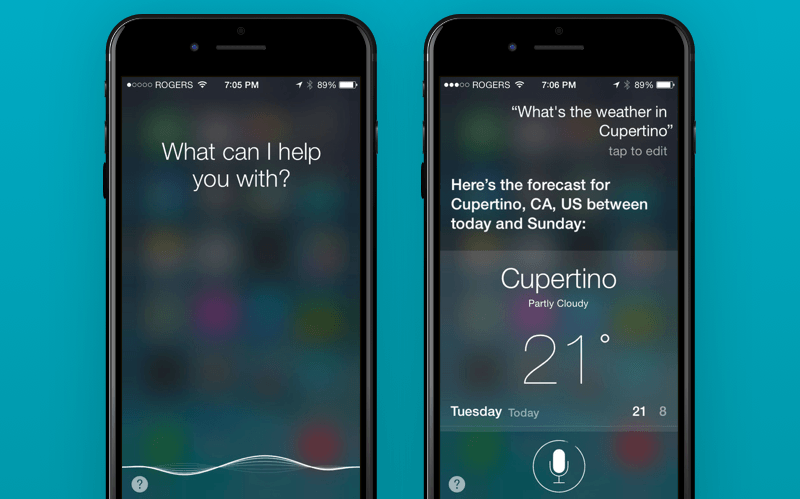 For example, the famous virtual assistant Siri has AI with machine learning feature. The artificial neural network plays the role of artificial intelligence. The neural network is a math model, as well as its hardware and software implementation, built on the principle and functioning of biological neural networks - networks of living organism neural cells. Today algorithms on the basis of AI can recognize and translate speech in real-time mode. They started recognizing graphic images better than humans, they could play some table games better than humans. They are expected in the nearest future to deal with all tasks even better thanmost professional individuals. Exploring the influence of AI on the labor market becomes more topical in the light of the quick development of the relevant technologies. 1) Artificial Narrow Intelligence (ANI). It represents AI that specializes in one certain field. For example, it can beat world chess champions at a chess party. But it is everything that AI is capable of. 2) Artificial General Intelligence (AGI). This AI represents a computer that has intelligence similar to the human brain. It can perform all tasks people can do. So it can explain tasks, schedule workload, solve problems, think abstractly, compare ideas, learn quickly, and use accumulated experience. 3) Artificial Superintelligence (ASI). This is an AI system that surpasses the human brain in almost every fields of knowledge including scientific inventions, general knowledge, and social skills. At the moment mankind successfully uses ANI. We are on the way to AGI familiarization. But while AGI is far from us, we can say a lot about ANI. And below you see some ways to apply ANI in real life. ANI systems don't pose any threats to humans. At worst, failure in such systems can cause local disasters like a power surge or a small collapse in the financial market. Every new invention in the ANI area brings us closer to the development of Artificial General Intelligence. The impact of AI in the world is truly colossal. But it doesn't have only positive sides, unfortunately (or fortunately, who knows?). Let's start from considering the strengths of artificial intelligence. What good does it bring to us? Algorithms of AI programming penetrate software codes and cloud platforms. As for business, a practical application of AI can become apparent in a different way depending on organizational demands and analytical business research. Enterprises can use artificial intelligence to solve all their tasks - from the analysis of sociological data, to optimizing logistics and efficiency control. 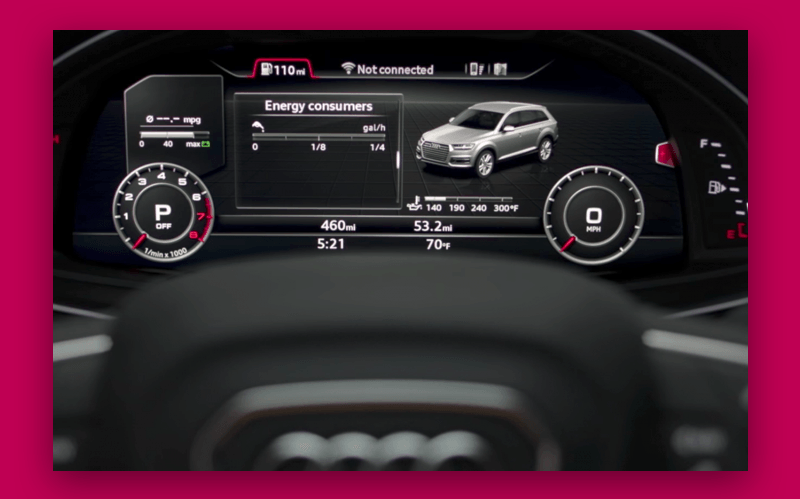 It is not a secret that autonomous vehicles will be an everyday occurrence in 15-20 years. Developers of such vehicles are asking mankind to trust the safety of their artificial intelligence. Today they report about testing autonomous trucks and cars to eliminate all problems and doubts. The news about autonomous cars today is not very stunning. These vehicles haven't been put on public roads before, but now an autonomous car manufactured by Google company can already cross a distance of almost 500,000 km without human guidance. Scientists are confident that such types of vehicles will have been used for personal and public transportation by 2020. Furthermore, AI solutions will determine the shortest road to the destination point and avoid car accidents. By the way, Cleveroad company is acquainted with the technologies for the development of a smart car app. So our company has enough experience to turn it into reality. Here we mean AI bot that will be able to do all chores: deliver parcels, clean the house, watch security etc. Although today there is a number of existing techniques for the performance of such specific tasks, developers report about working on the creation of general-purpose mechanisms. For example, all of us learned about vacuum robots that can move around your house autonomously and evade obstacles. Likewise, it is expected that the new generation of bots will do all the chores without your guidance because of the AI services inside their mechanical brains. Meanwhile, smart home apps also refer to one of AI expressions. It helps you make your home better and safer. So, as you see, AI is already can be nearby you today. AI in the sphere of medicine has managed to organize plans for patients' treatment and provide the physicians with the necessary information for a good decision-making. Due to this, thousands of human lives have been saved. Nevertheless, the level of trust in this technology is still quite low since it is not commonly used. It is important to note that some new technologies are already actively used in the healthcare service: devices for diagnosing diseases, the performance of operations etc. Also, AI techniques integrated into electronic medical cards have made it possible to store all information about the patient's diseases and services provided. Also, some special mobile apps make it possible to detect your general condition by your typing, for example. New special medical devices and mobile apps are expected to have developed in the next15 years. They will be implemented to examine patients and treat them. All physicians will have to do is to control the treatment process. Today many companies are engaged in the development of robots used in the educational process at schools. For example, Ozobot robot provides children with the opportunity to learn how to immerse in back-end web development using a special mobile app. Also, it can dance and play special games on a touchscreen. Other bots teach children foreign languages using the system of speech recognition and NLP (neuro-linguistic programming) method. The SHERLOCK app trains future aircraft mechanics to detect defects in electrical systems of the airplane. And also there are many robots equipped with AI that can communicate with people and even be emotionally responsive. Such experiences cannot be provided by ordinary textbooks. In addition, it is worth noting that special artificial intelligence applications already helps restaurants, shops, and other similar establishments monitor the expiration date of food and its components. Everything seems so optimistic, doesn't it? But I hasten to inform you that artificial intelligence projects can bring something not so good for all of us. And you should know it. According to world statistics, robots are expected to replace 250,000 public officials in Great Britain by 2030. It means that the development of artificial intelligence threatens not only the workforce balance market but also the well-being of the middle class. This problem was raised at a Beneficial AI conference held in California in February 2017. Researchers are concerned about such vital issues as the impact of an artificial intelligence on the economy. The matter is that AI development will result in the elimination of many professions in the future. Machines do not simply squeeze people out of factories. They perform operations much better. And this is only the beginning since AI engineering is going to revolutionize all sectors of the economy. New artificial intelligence technologies reinvent all fields of knowledge. This threat makes many people ponder the idea of creating a stable basic income or guaranteed payments from the government for those who are out of work. But, in turn, it can only exacerbate a problem since basic income will eliminate the incentive to become an entrepreneur and start practicing other activities that result in the necessity to create new work positions. However, the solution to prevent the development of AI machine learning is not always a choice. It is impossible to slow down the AI's development in the whole world since it contradicts unwritten laws of the development of science. OK, imagine that the government of one country passes a law prohibiting any research in this area. This way, the workforce market will be put in jeopardy since the development of AI in other countries will give them a competitive advantage in this sphere. Therefore, it is unreal to think you can stop this process. However, it must be taken under control to prevent the unethical use of AI. The majority of ANI models includes a self-improvement feature. But even if scientists will create AI without such a feature, when it will reach human intellectual level, it will acquire the ability to learn on its own. As a result, automated intelligence will evolve and turn into super intelligence that surpasses human intellect by far. At the same time, AI surrounds us every day and undoubtedly makes our life simpler. 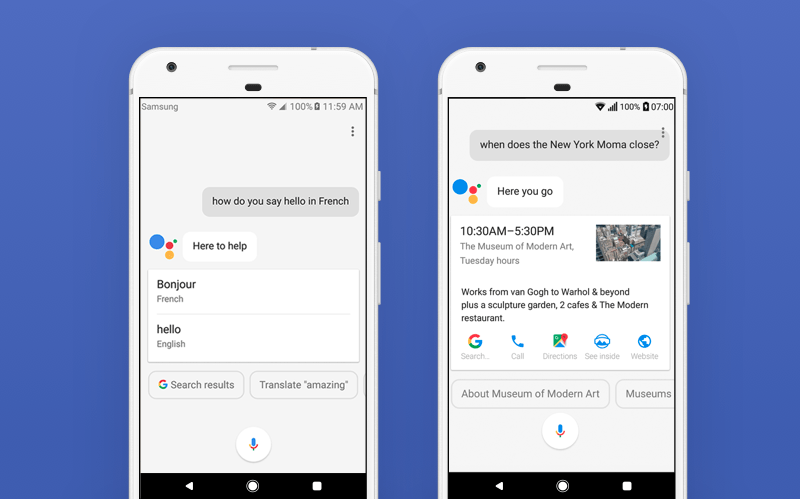 Your Google Assistant or Siri remembers your daily schedule, when and where you go to work, when you come back, and on this basis an AI assistant can find an appropriate route for you without traffic jams and so on. It provides you with the weather forecast, news, other information that can be interesting especially for you, considering your personal interests and hobbies. And it goes without saying that many other web and mobile apps are created using AI with machine learning features. It makes it possible for AI to improve steadily. Pictures recognition software, chatbots, smart analytics - it is only a few options of thousands available applications of artificial intelligence in the IT market. And in this case, AI was developed specially for making life much more comfortable and easier for each person. Our company is engaged in the integration of AI in software. Some of our projects have already gotten their smart parts and now our customers rejoice. We are always open to any discussions and we are ready to implement your AI project. Drop us a line and subscribe for our blog! How will augmented reality help you in your business?